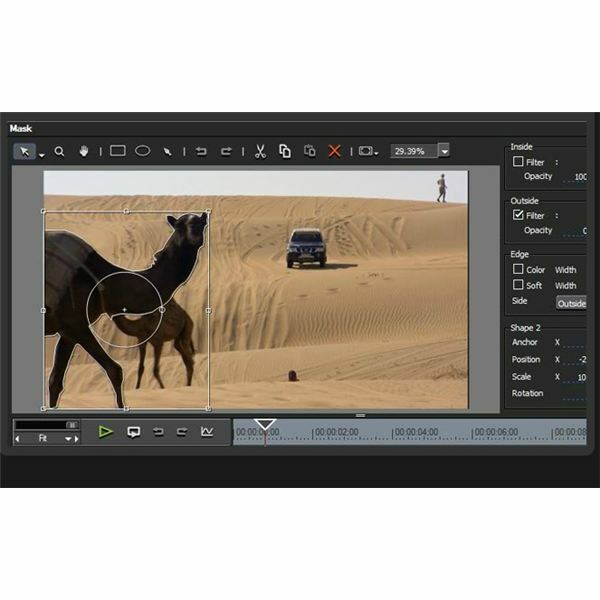 EDIUS 6 is a video editing program that supports both HD and SD formats. It works with a variety of formats, including Panasonic P2, Sony XDCAM and Canon XF formats. The program is powerful, but it’s also nearly $650. Is it worth the large price tag? Let's take a look. This version of EDIUS is really easy to setup. It comes with a CD, which is especially nice. This way, if you get a new computer, or if your computer crashes, you can easily reinstall the software. It also has a USB key for security. The program won’t install without this key, ensuring that others can’t illegally use it. It only took a few minutes to install the program, and an added bonus is that I didn't need to restart my computer once the installation was done. I could immediately open and start editing my files as soon as the program was fully installed. For example, if you use a Canon Camcorder, you can convert the Canon video into AVCHD – typically without performing any extra steps. The only issue encountered was with converting 24p int AVCHD. While the program can still do it, you will have to perform a few extra steps to do the conversion. The DVD generator is a little slow and awkward, but it works well with either PAL or NTSC. saves you a lot of time, especially if you have a lot of clips. You can also preview any of your changes before you commit to them. You can preview the footage within the editing window, or you can expand it to full resolution. You can convert videos at a variety of resolutions, ranging between 24×24 to 4K/2K. You can add 3D transitions to your videos and view your effects, titles and transitions in real time. Furthermore, the program can convert different frame rates, including 24p, 60p/50p and 60i/50i. The EDIUS 6 comes with a full package of features. These features include an image stabilization effect to counteract shaky shots. The NEWBlue Video Filters add some interesting color to your shots, and these filters are specifically designed to work with the EDIUS software program. One of the best features in this program is the Anti-Rolling Shutter filter. This filter is specifically for counteracting the problem of image distortion. Many CMOS camera users come up against this issue, and this filter will give your footage a much cleaner look. The program also includes audio plug-ins, including the AGC and Mastering Effects Suite, Audio Effects Suite and AudioRestore. Another great selling point is the workflow suggestions, which provide you with different editing options. For example, the export proxy allows you to transfer the editing responsibilities from one computer to another. You can then import the edit back to your main computer. The proxy mode also allows you to change the timeline between high resolution and proxy modes. Other features include that the program supports an unlimited number of tracks, including graphic, audio, title and video. You can edit footage from up to 16 different sources at the same time, allowing you to pull footage from different cameras or sources. A major downside of this program is that it’s strictly for Windows, not Mac. This ensures that Avid will probably still be the program for most Mac users. Another minor problem is that you need to get the REDCINE-X tool if you want to edit RED clips in this program. This version of EDIUS doesn’t support importing or exporting these files. You can edit them, but it is kind of awkward. As soon as you add the tool, however, you can then import and export your RED videos. Finally, and perhaps most importantly, the price is going to be prohibitive for many amateur videographers. 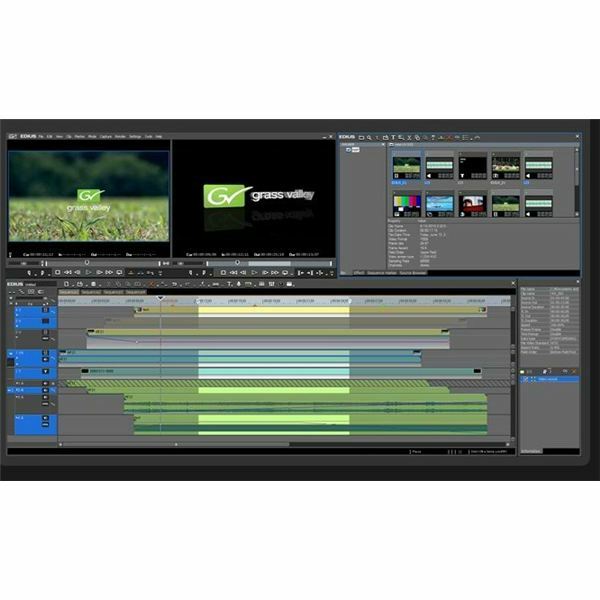 For example, it's more expensive the Adobe Premiere Pro (costs between $250 and $300), which runs on both Macs and PCs. Amateurs may do better using the extremely inexpensive (less than $150), and very capable, Sony Vegas Move Studio. The Sony version offers advanced features and is also very easy to learn. Overall, EDIUS 6 has an amazing interface, and the program comes with a lot of great features, and supports nearly any type of format that you can think of. Many versions of Avid Pro are a lot less than this program. Mac users, however, don’t have a choice with that since the program is not compatible with Macs. This, of course, is another downside. It ran fine, however, on Windows with no glitches, and users will love the ability to preview work before rendering it. It’s well worth the money. If you can’t afford this version, however, just wait for the new one to come out. New releases often result in a price drop on the older version. Regardless of whether you think that this is the program for you or not, take the 30 day free trial and see the capabilities of the program for yourself. Then, be sure to visit the comments section below and let other readers know what your impressions are.